Organized, Reliable and Accountable, VOG Fills the Gaps! 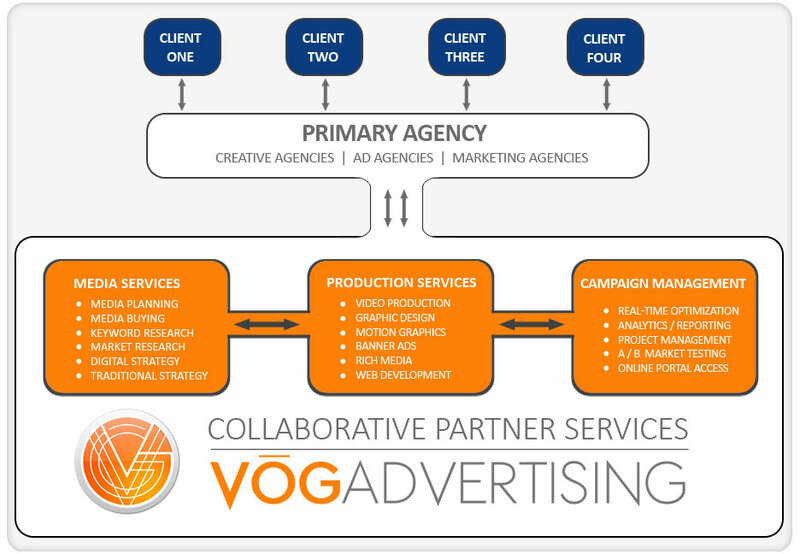 VOG Advertising partners with other agencies, providing the missing link to a comprehensive marketing strategy. It won't take us months to produce video for you. We can prepare motion content to complement any advertising campaign quickly -- and in cinematic quality. VOG can marry the creative messaging you've already built into effective motion content. We offer real-time campaign optimization that enhances your digital advertising efforts. We also provide strategic solutions to marry your offline content with online messaging, creating a precisely targeted holistic campaign. Standing Partnership creates influencer strategies that deepen understanding, build trust and mitigate risk in complex, ever-changing environments. A pioneer in the development of the new agency paradigm, they offer a vision of how marketing services can best serve clients. Offer language interpreting and translation services with expertise in over 100 foreign languages, from Arabic to Zulu.